The incidence of obesity is increasing among all age groups throughout the world and it is highly associated with numerous other metabolic disorders, such as insulin resistance, polycystic ovarian syndrome (PCOS) etc. Using in vitro and in vivo approach, this study investigated the adipokine profile after liraglutide on differentiated murine 3T3-L1 pre-adipocytes. Effect of liraglutide on DHEA-induced PCOS mice were investigated. This study showed Liraglutide treatment resulted in up-regulation of adiponectin and IL-6 along with down-regulation of ICAM 1 in differentiated 3T3-L1 cells. Liraglutide in absence of other differentiating factors, significantly increased glucose, lipid uptake and PPARγ, C/EBPα expression in the adipocytes suggesting its ability to solely promote pre-adipocyte differentiation into mature adipocyte. Liraglutide treatment showed increased adiponectin expression and decreased number of cystic follicles, body weight, circulating glucose, triglyceride and testosterone levels in comparison to the PCOS induced mice. 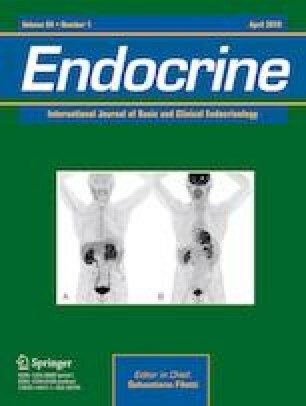 This study suggests that adiponectin may act as a link between metabolic disorders and PCOS and that liraglutide might be a promising therapeutic agent for the treatment of PCOS in addition to obesity and insulin resistance. The study shows the impact of GLP-1 analogue, liraglutide’s impact on adipokine secretion in 3T3L1 adipocytes. For the first time, showing that liraglutide in the absence of other differentiating factors (IBMX, insulin, and dexamethasone), significantly increased glucose, lipid uptake and PPARγ, C/EBPα expression in the adipocytes suggesting its ability to solely promote pre-adipocyte differentiation into mature adipocyte. Also, for the first time it shows that liraglutide through the up-regulation of adiponectin manages PCOS in mice. BITS RIG financial assistance is acknowledged. A.S. acknowledges University Grant Commission, India for providing research fellowship. J.R.D.F. acknowledges SERB for financial assistance. A.S. did the animal-related work and wrote the manuscript. J.R.D.F. did the cell differentiation, partial IHC, and wrote, edited the manuscript. G.C. did the adipokine array work and edited the manuscript. A.K. edited the manuscript. A.B. planned the work and edited the manuscript. All animal experimentation and procedures were approved by the Institutional Animal Ethics committee of Birla Institute of Technology and Science (BITS) Pilani Rajasthan, Reference number IAEC/REC/19/21.